Takeaway: Boost the performance of your garden with the latest products available for modern growers, featuring Noctex, Hydrofarm, HydroWorxx, Hydro-Dolly, and Omega. These products are all #GoodtoGrow. 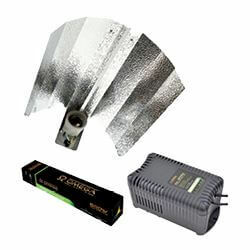 The Omega 600W Dual Spectrum Pro-V combination package offers a high-performance, cost-effective lighting system. 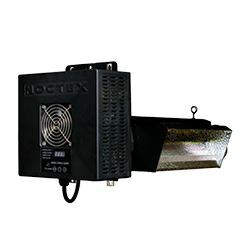 Included in the package is a high-quality 600W Pro-V ballast; a lightweight, open-ended, highly polished hammertone dimpled EuroWing Dutch Barn reflector, which gives an efficient and even distribution of light; and a 600W dual spectrum lamp. Omega Lighting kits are regarded as the best on the market and being of excellent value for the money, and this is one of the most popular and reliable lighting kits on the market to date. These Omega 600W Pro-V kits are taking the market by storm. Retailers can order through Eden Horticulture. Neudorff, the German market leader for homecare products, is proud to introduce its newest line of responsible products: HydroWorxx. 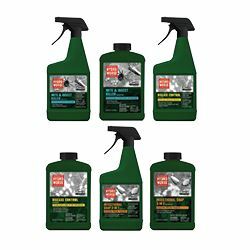 It has high-efficacy and is OMRI Listed, creating the urban gardener’s complete solution for damaging mites, fungi, and insects. Available in concentrate and RTU formulas, the HydroWorxx line includes HydroWorxx Insecticidal Soap 3-in-1 and HydroWorxx Mite and Insect Killer, which allows consumers to tackle most pest problems that invade their high-value crops. HydroWorxx Disease Control takes on powdery mildew, downy mildew, Botrytis causing bud rot, and more, so plants can thrive disease-free. All products in the HydroWorxx line can be used until day of harvest, won’t burn plants, give off an unpleasant odor, or demand that gardeners apply them frequently. The HydroWorxx line gives crops the type of protection that gardener’s value: effective, reliable, responsible. Featuring an intense cooling system, the Noctex ZERO2 is one of the coolest running double-ended digital ballasts on the market today. Designed with every aspect of performance in mind, its unique four fully-vented sides, along with the housing of a 41 CFM super fan, allow for unparalleled cooling that has never been achieved by any ballast in its class. Not only does it run cooler, it also operates 15–20 per cent brighter with full range dimming from 400W to 1,200W at 10W increments. With the temperature sensor cable, you are able to regulate your room's temperature by having the ballast adaptively dim to your set threshold. Commercial-grade models come with an RS485 port for multifaceted integration with central control systems (BACNET-based). The reflector is made of German aluminum with reflectance of 96 per cent. High-yield DE bulb included. Available in 120-240V/277V/347V models. Full customization and integration available upon request. All products are ETL-/UL-, FCC- and CE-certified. Whether you are a professional or novice, every grower needs the Hydro-Dolly. This uniquely designed 24-inch plant mover actually maximizes a plant’s growing potential. 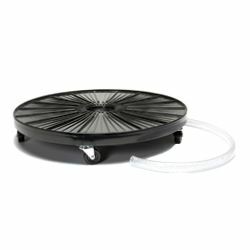 It creates even airflow on an added supportive ribbed base and holds up to 500 pounds. The heavy-duty Hydro-Dolly is made with five steel bearing casters with rubber wheels and a 90-degree PVC elbow hose attachment that draws water away from the plant and redirects it to the desired recycling area. This creates a safe, clean growing platform that prevents the potential for buildup of disease on valuable plants. These dollies are also available without hose attachments in 12-, 16-, and 24-inch models. New and exclusively available from Hydrofarm, the Digilux Double-ended High Pressure Sodium Lamp, 1,000W, is engineered specifically for use with digital ballasts. It produces noticeably larger flowers, resulting in bigger, heavier yields. 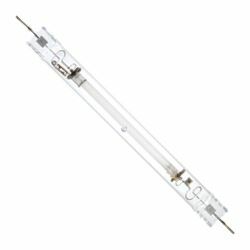 Featuring the superior performance that Digilux lamps are known for, this 1,000W DE HPS lamp is long lasting, providing excellent results grow cycle after grow cycle.